From May 10 till June 7 2017 I made a trip in Bulgaria using public transport. Meanwhile I made handmade collages with material found in book stalls, antique stores, streets or simply got it from the walls. This is nr. 27 and the last one of the series. 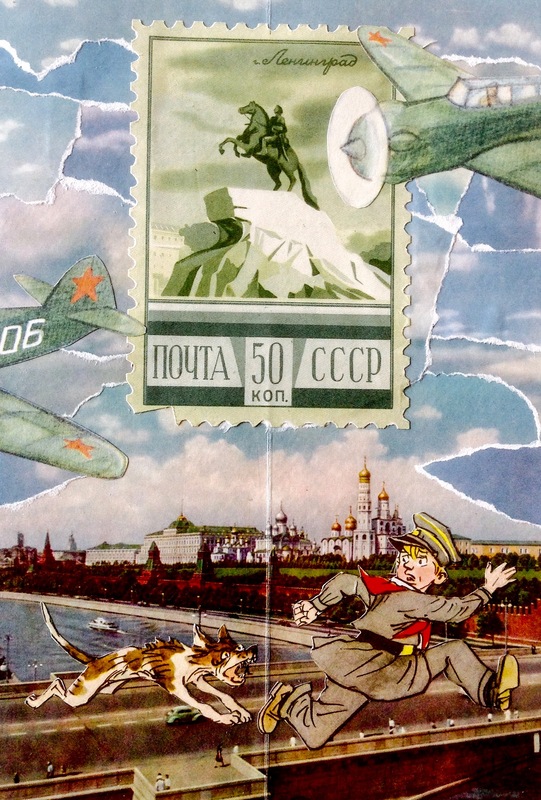 With parts of a calendar, children’s book and postcard from Moscow.